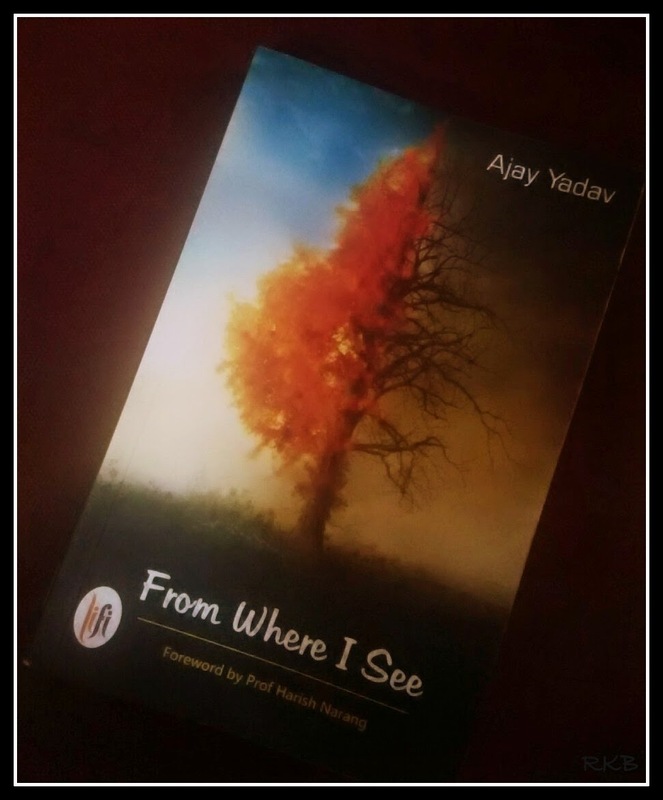 I finished reading ‘From Where I See’ by Dr Ajay Yadav this morning and let out a sigh. When I closed it and read the back cover, something which I usually do only after I finish a book in the fear of getting to know the turn of events, well this time I couldn’t help but smirk. The story begins with a doctor being interrogated at a typical Bollywood style <imagine while you read> police station for his friends death , a friend who was struggling with intrapersonal, interpersonal, inter-social and inter-religious conflicts which eventually kills her. Soon after which he is in flashback. What follows after that is 'Point A to point B to point D to point G to point Y to point A to point S to point Z to point E...'. The writer in my frank opinion has opened a Pandora's Box; the consequences are for the reader who opens the book. A plethora of issues are discussed in the pretext of conversations between family and friends, and not to forget the in depth seminars which run in pages. The idea although is quite new, this for me as a reader terribly fails, terribly. To build the plot with the characters or to put a across a hundred of those pragmatic opinions? The research with the social, national, religious issues interspersed in massive amount in between is completely laudable. What fails is the connect; the discussion is a pain to read not because it is revolving the truth but because they are extremely longish. At more than one instance I admit I forgot where, why, how and who was talking to whom! I had no issues with the facts and data put across; they just seemed to be in the wrong place. The characters speaking so much over tea or dinner about varied topics appear only simulated. It is mostly the authors point of view talking, as he himself says, this book is his effort to find the root cause and probable remedies of conflicts, and a try at exploring hundreds of pertinent questions. Thumbs up! Thumbs down for the structure, if this was a little different maybe the story had some chance of keeping me hooked, the issues raised are very much relevant to the world of today. Humanity indeed has to be our only religion. At the end of all the colloquy, all of a sudden out of nowhere the police do find out the killer, and then the discussion gets back to the journey towards ‘The Utopian World’. This story is no chiclet novel material, nor based on corporate intrigues involving mega millions or political chicanery as the foreword says, it is written with a valid intent but falls short of a decent composition. It needs an editor. Period.